Secret talks between representatives of President Musharraf and PPP Co-Chairman Asif Zardari have produced an agreement that allows Musharraf immunity in exchange for agreeing to resign immediately. "Musharraf will neither face impeachment nor be prosecuted," said one person familiar with the situation. He is expected to step down once a guarantee of safe passage and immunity from prosecution has been struck. "We expect a major development in the next 48 hours," this person said, according to the Wall Street Journal. President Musharraf seized power in a military coup against then Prime Minister Nawaz Sharif in 1999. Mr. Musharraf's major accomplishment during these years was to put the economy on a sound footing and on a growth trajectory that more than doubled Pakistan's GDP during his time in office. Growing economy helped double the size of the middle class. Pakistan changed in fundamental ways by the proliferation of private TV channels and other media. But he also made many enemies by siding with the US in fighting terrorism, cracking down on the Islamists, restraining the vibrant media he helped create, and firing the chief justice and dozens of senior judges of the country. The President delivered on his promise to hold free, fair and relatively peaceful elections that swept his allies out of power earlier this year. He has come under increasing pressure to resign since the elections in February, 2008. Recently, Mr. Asif Zardari joined Mr. Nawaz Sharif, who has a personal vendetta against Mr. Musharraf, to ratchet up the pressure by announcing plans to impeach the President. Prior to the start the actual impeachment proceedings, the coalition partners have demonstrated their strength by asking the provincial legislatures to pass resolutions supporting Musharraf's impeachment drive. While the vote against President Musharraf was generally expected to pass in Punjab and NWFP assemblies, the recent vote against him in Sind Assembly showed that even the members of MQM, his staunchest allies, decided to abstain rather than side with the President. This came as the clearest indication yet that his supporters have decided to retreat in the face of mounting pressure for him to resign. The President's support has almost entirely collapsed. Musharraf's resignation seems likely to trigger a new wave of instability in Pakistan as the two main parties in the coalition government jockey for his share of power. 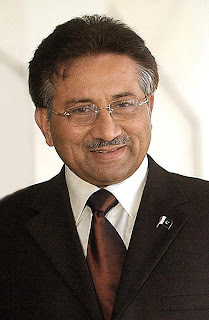 It would also remove from the political stage the man who has become a favorite whipping boy for various groups including the lawyers, the rights activists, the Islamic radicals, and the politicians of various stripes, brought together by nothing more than their common hatred of Musharraf. Once these diverse elements accomplish this goal, each of them will, in all likelihood, continue to agitate for their own separate, conflicting agendas, contributing to greater instability. Ironically, this resignation will shine the spotlight with greater intensity on the incompetence and corruption of the new civilian leadership as people demand solutions to their real problems such as high inflation, unemployment, security and serious ongoing power outages. While accountability of its leaders is healthy for a nation, the process must be fairly implemented and no one should be above the law. The process should be designed to improve the overall quality of governance in Pakistan. Musharraf, Sharif, Zardari and others must all be held equally accountable for their current and pass actions for the process of accountability to be fair and balanced. The US media are focusing on how Pakistan fares in a post-Musharraf era as a paramount concern to the U.S., where officials have become increasingly concerned about the country's direction. Mr. Musharraf's pro-American stance and his military campaign against Islamic insurgents in his country have given way to a troubled strategy of peace deals with militants, says the Wall Street Journal. With the expected exit by President Musharraf, and Barak Obama’s likely success in the upcoming US presidential elections, I think the unresolved Kashmir issue will have a much bigger negative impact on all of South Asia. President Musharraf was very sincere in his efforts to permanently resolve the Kashmir issue with India. The prospect of Kashmir resolution led to improved relations between India and Pakistan, with George W. Bush’s backing. With Obama’s stated hawkishness about the growing Taliban insurgency in Pakistan and Afghanistan, and India’s growing influence in Afghanistan, Pakistani government is likely to come under intense domestic pressure to take a firm stand against the US and India, and it will be forced to see the warming relations between the US and India with greater suspicion. Pakistan is entering a new era where there will be greater uncertainty, less clarity on who is in charge, bigger economic problems, increased corruption, more intense violence and spreading chaos with Musharraf's absence from the scene. It will be a real test of the recently elected politicians to maintain a basic semblance of law and order, and political stability, and to continue to meet Pakistan's international obligations in this new post-Musharraf era. Pakistani President Pervez Musharraf is expected to resign Monday and fly into exile in Saudi Arabia, where he is to remain for the next three months, a former aide to the president has told NEWSWEEK on condition of anonymity because of the sensitivity of the issue. The aide added that the news had been relayed to the nation's top military brass, including its powerful corps commanders. Though a current aide to Musharraf confirms that the president will resign, officially, Musharraf's camp denies the story. "Your source is a liar," retired Maj. Gen. Rashid Qureshi, a presidential spokesman, told NEWSWEEK when asked about the president's resignation and possible flight into exile. "The information you have is absolutely untrue." I am waiting to read your openions on the deploraple conditions of Pakistan. Especially how the most corrupt people have managed to file up charges of corruption against Mr Musharaf & made him resigne. I really feel sad to see him go and would like to read your views. I think a nations so nieve does need someone like Musharaf who knew his mind had some vision as compared to the crook group full of hot air.